One of the biggest concerns people have when it comes to putting their belongings in self storage is the fear of mold growing in their containers and on their items. When you put your stuff into storage, you want it to come out looking just as nice as it when it went in. Luckily, there are a few things you can do before moving into your unit to prevent mold in storage containers. Choose your boxes wisely. 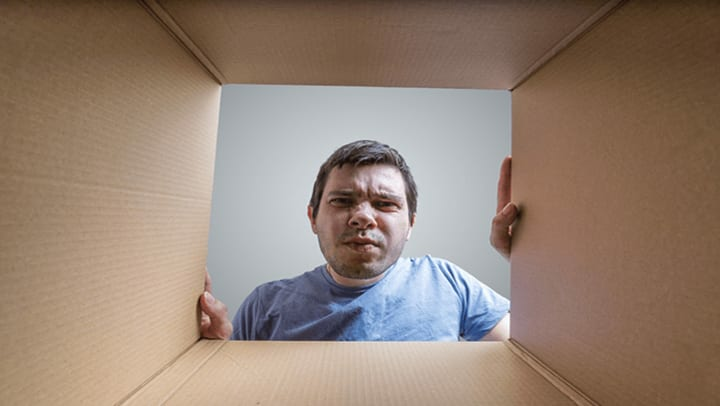 When it comes to boxes, people tend to gravitate towards using used boxes to pack up their belongings for storage. While you win points for being eco-friendly and using a box instead of a garbage bag, if you don’t choose the right box, you could be inviting moisture in. When storing art or books, it’s best to use breathable, acid-free boxes that’ll prevent moisture from entering. Sometimes, boxes aren’t the right option at all. If you’re storing clothing, choose vacuum-sealed bags instead of boxes to keep air from getting in and wreaking havoc on your favorite pair of jeans. Clean and dry items before storing. Before putting your items in storage, it’s extremely important to make sure that they’re clean and dry. Dirt left on your belongings can easily cause scratches or leave a film if left on for too long. Even if there’s not a spec of dirt to be seen, you also need to make sure that there’s not a drop of water. Clothing and upholstery that get put in storage while damp can attract mold, and metals and woodwork can rust or rot. Moisture can easily migrate to other items, so set your cleanliness standards high while packing. Pack desiccators in your containers. Desiccators are things such as silica gel packets that help deal with any residual moisture. While packing, throw a couple of packets into the containers to absorb any moisture that might find its way in. Keep in mind, though, sometimes these packets expire. Be sure to check the expiration date and replace them as needed. Think airflow! Airflow is key to creating a mold-free environment in your storage unit. Airflow is not only important for some items being placed in containers, but also for your unit as a whole. Avoid pushing boxes, containers, and other large items directly up against a wall. Also, be sure to leave room between stacks of boxes and avoid placing them directly on top of the concrete floor. Concrete is porous, and sometimes moisture from the ground can be lurking underneath it. Opt for a climate-controlled unit. Climate-controlled units aren’t a necessity, but if you’re someone who likes to triple up on their protection, it could be a great option for you! Climate-controlled units ensure that you’re always going to have a properly ventilated unit that prevents moisture levels from raising and causing mold and mildew to grow all over your belongings. Looking for a storage facility you can trust to keep your belongings mold-free? The Space Shop will keep your stored items safe and sound - a genuine storage experience you won’t find anywhere else. Stop by your nearest location to check out our flexible, reliable, and professional storage solutions.